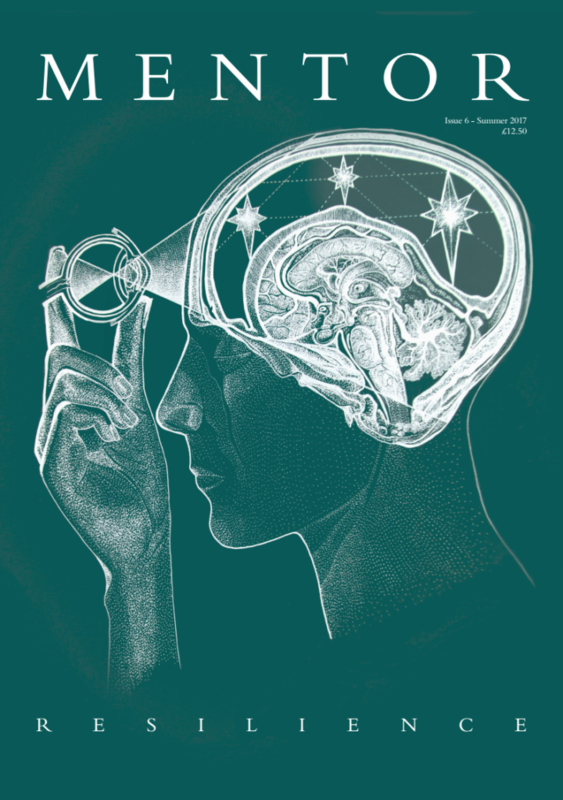 A free long-distance study series to help you stay on top of important subjects such as current affairs, medical ethics, clinical scenarios and interview questions! What is the Study Series? Each study guide is partnered with an online webinar hosted on youtube that is taught by Dr Lauren Quinn (Vice President of Educational Resources), and her team of Scholars. This gives students a chance to work through the exercises with a Mentor and they can post questions to Dr Quinn using the live chat function during her online lecture! The Study Series is a valuable tool for our School Societies Network, because it helps to provide our students with interactive tasks to undertake during society meetings that they run at school. Dr Quinn and her Scholars scour through all of the latest news articles and select the most relevant subject to discuss. This saves our students valuable time, so that they can focus on the areas that are most likely to come up in the interview! 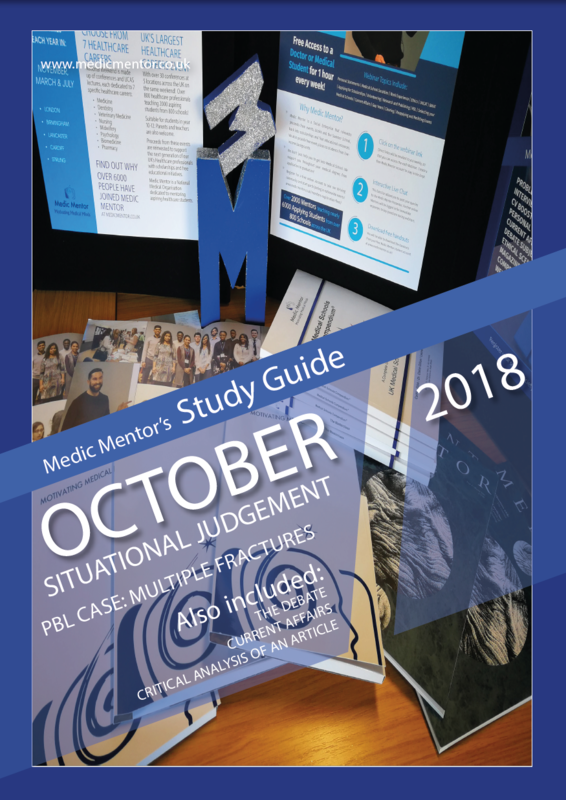 Download October’s Study Guide for Free! Dr Quinn will be teaching a webinar on the 29th October 2018 at 7pm on Medic Mentor’s Youtube channel! to access the monthly Study Guides and stay updated about Dr Quinn’s monthly webinars! Set up a Medics Society at Your School! 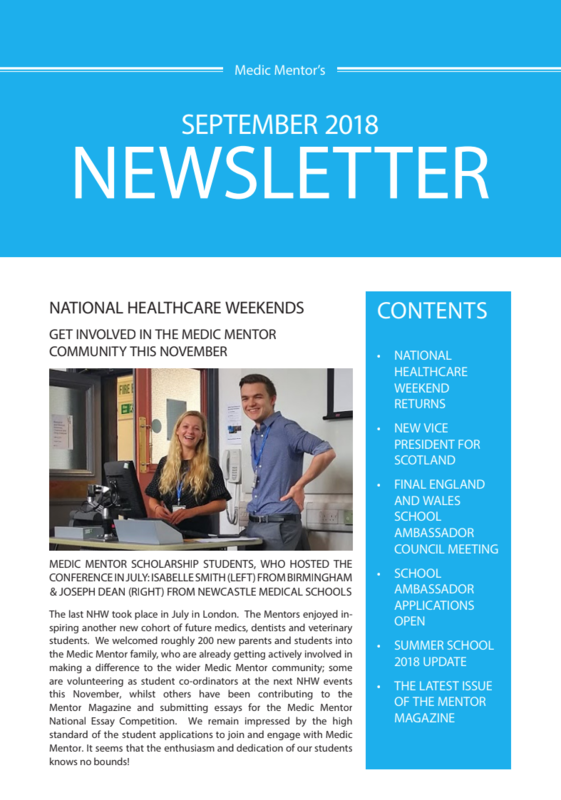 Would you like support to set up a medics society at your own school? This is a great opportunity to have free talks from Medic Mentors in your own schools!